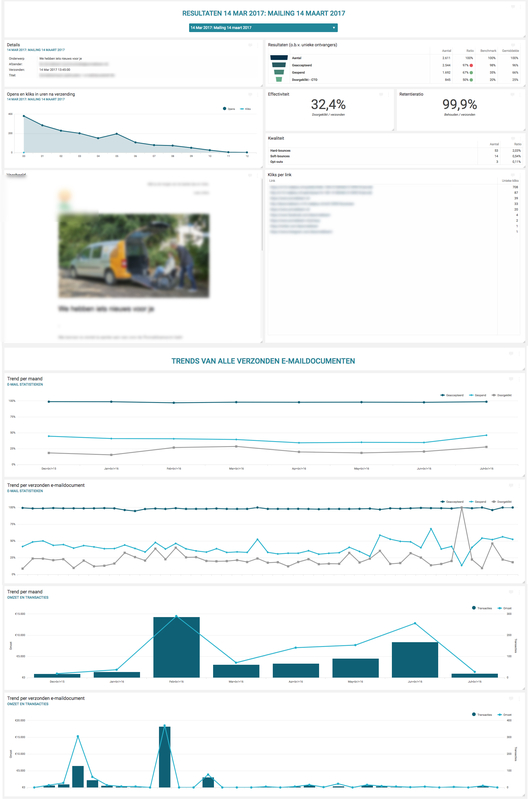 The Spotler Klipfolio connector allows you to easily and quickly present the e-mail statistics from your Spotler account using Klipfolio . To make it easier for you, Cervino Marketing has created a template tab that presents the most important Spotler KPI's in a clear and simple way. The example below is also available in English. Using Cervinodata you can combine Google Analytics, Ad platforms and e-mailplatforms to make it really easy to build and maintain your Klipfolio dashboard. offers advanced yet easy to interpret template dashboards so you do not even have to build tabs, klips or data sources. The Spotler Klipfolio tab shown above is ready to be used in Klipfolio. Check out more template tabs.